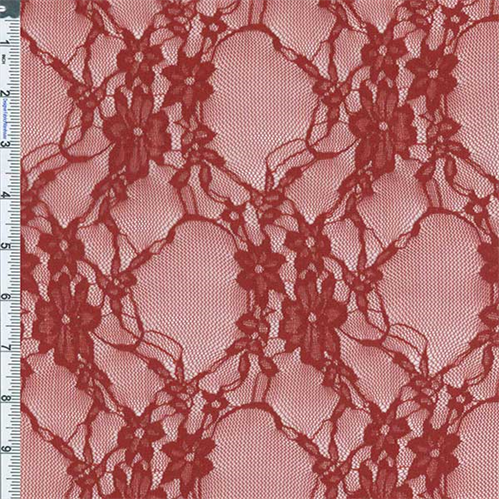 Twined Floral Stretch Lace Knit Fabric By the Yard, Brick Red. Silky soft lace, very light-weight and see-through. Very stretchy vertically and horizontally. Machine wash cold in lingerie bag, air dry, do not iron.